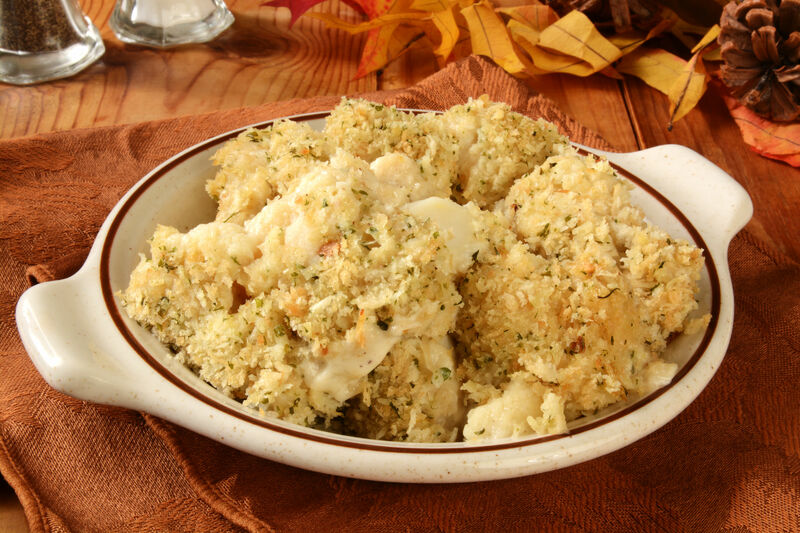 Healthier Than The Traditional Gratin, Our Cheesy Cauliflower Version Will Knock Your Socks Off! You can’t ever really go wrong with potatoes, but sometimes it’s nice to switch things up every once in awhile. We’ve mentioned our deep love of cauliflower, but there are still people out there who don’t realize how good it is, or how many tasty ways there are to dress it up, so we’re coming at you today with this deliciously cheesy cauliflower gratin. Perfectly creamy, the cauliflower adopts all the flavors from the sauce and the crunchy topping is the best touch to finish things off. Regardless of what you’re serving as the main course, this dish is going to steal the show! Heat 3 inches of salted water in a large pot over high heat and add cauliflower florets. Cover and steam for 6-8 minutes, or until just fork tender. In a large saucepan, melt 1/2 stick butter over medium-high heat and whisk in flour to create a roux. Cook, stirring constantly, until mixture is smooth and paste-like. Continue to whisk and slowly pour in milk until combined. Bring to a boil and cook until sauce thickens. 3-5 minutes. Season with salt, pepper and nutmeg, then stir in gruyere and cook until melted and smooth. 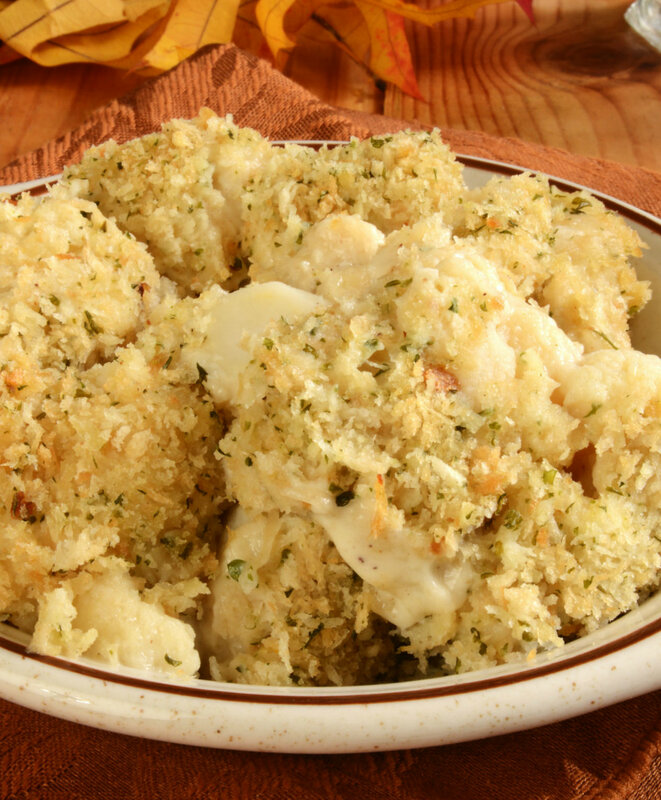 Place cooked cauliflower in a large baking dish and pour sauce evenly over the top. Melt remaining 2 tablespoons butter and, in a small bowl, stir it into breadcrumbs and parmesan cheese. Sprinkle topping mixture over cauliflower, then place baking dish in oven and bake for 20-25 minutes, or until cheese is melted and top is browned.